Comments The plant should be attached to rocks or bogwood, where it will soon become firmly attached and begin to creep along the surface. 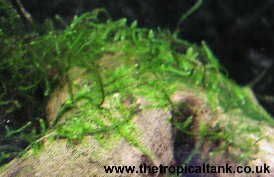 It is easy to propagate - simply remove part of the plant and attach to a new surface. 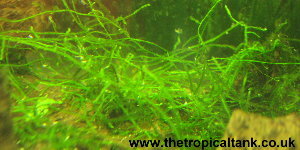 The Java Moss usually available in the aquatic trade has been known under the scientific name of Vesicularia dubyana, but this refers to a different species that is a bit more demanding.